Served as Co-Chair of the Polk County Democratic Party from 1984 to 1986, chairing a record voter registration and turnout effort that contributed to Iowa going from a G.O.P. to a Democratic state. He worked on Capitol Hill in Washington, D.C. with the House D.C. committee headed by Congressman Walter Fauntroy. He was the youngest co-chair and chair of a state commission in Iowa serving from the very beginning of the Iowa Commission on the Status of Blacks, now African-Americans. During more than three decades of political advocacy, Jonathan has been highly effective, never afraid to be controversial, not backing down in the face of power and privilege, fighting for working Iowans and Iowa families. Always operating under the philosophy that if he took the hits and let others take the credit a great deal could be accomplished, Jonathan is proud of a long list of achievements including heading groundbreaking statewide education and health initiatives. Both received significant national attention, were featured on CBS and in a week long report by BET News, and lead to a White House request to collaborate on the efforts. Jonathan took over publishing the Communicator and Iowa Bystander, rescuing both publications from closure. The Iowa Bystander, slated to become a permanent daily following its 120th anniversary on June 6, 2014, has been featured at the White House and Smithsonian Museums, has won numerous journalism and citizenship awards and can be found in many state historical tomes and archives. Jonathan has owned and published many other papers, at one point owning or publishing 29 periodicals including all the major suburban papers in Polk County. Jonathan currently is the Editor-in-Chief of Iowa Bystander and publisher of El Comunicador – Iowa’s first statewide Latino paper and Iowa Fronteras – Iowa’s first statewide Spanish language paper. He published the Mississippi Corridor Edition of Iowa Bystander based out of Davenport covering Dubuque, Clinton, Davenport, Muscatine, Burlington, Fort Madison and Keokuk and the Cedar Valley edition of Iowa Bystander covering Waterloo, Cedar Falls, Cedar Rapids and Iowa City. Jonathan also published Cyclone Nation magazine, Cyclone Times newspaper and Hawkeye Times newspaper. Jonathan has hosted several shows on Des Moines radio station KUCB including the Daily Wake Up Show for more than a decade, and he hosted “Only Permanent Interest” on Des Moines radio station KJMC, a weekly educational program focused on political empowerment. He has a number of shows on KBBG FM 88.1 in Waterloo including Black Iowa Today, Black Iowa Imperative and the Legislative Wrap. Most recently Jonathan served on the Des Moines School Board where he got more than two dozen reform measures implemented, increased local and statewide awareness on key issues such as the increasing dropout rate and spearheaded the effort that resulted in an overwhelming victory for the District’s Revenue Purpose Statement. 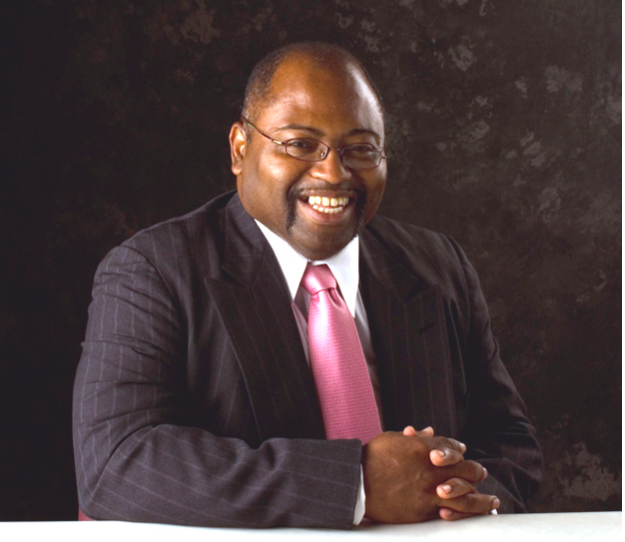 He also served for more than a decade as the Education Chair for the Iowa/Nebraska NAACP. Jonathan has held meetings in all 99 counties in Iowa for an effort called “An Iowa Worth Fighting For” and headed a statewide education initiative to address the emerging crisis in Iowa’s urban education. Jonathan has earned more than 400 local, state, regional and national awards. He has been recognized by the Bush, Clinton and Bush Administrations and the Branstad, Vilsack and Culver Administrations. He earned the 2009 ICSAA Pinnacle Award from the Culver Administration. He also was named the S.B.A. Regional Minority Business Advocate of the Year and a finalist for the National award by the Clinton Administration years earlier. He received the Washington Times Foundation Award for Service to Youth the same day he learned he would be become the father of the first of his two adopted daughters. Jonathan was a member of the first class of the Callanan Jr. High Hall of Fame that included former Governor Bob Ray, singing sensation Andy Williams, and John Ruan. He was twenty years younger than the next youngest inductee. Jonathan is also the youngest inductee and member of the Iowa African American Hall of Fame. A very exclusive group that includes George Washington Carver and Iowa’s Tuskegee Airmen delegation. As a semi-pro boxer in the D.C. area Jonathan compiled a 17-0 record. He also has two second place finishes in national chess competitions and has won numerous state chess championships. He is the father of two daughters – Integrity and Perseverance, both Roosevelt students and a stepson, Johnce. He also has three grandchildren.On January 7th of this year Jonathan, despite his terror of heights, was married in a hot air balloon that then crashed. The video and story became a world wide sensation. It was featured on nearly every major news and news entertainment show in the U.S., as well as Europe, China, Japan and India and South Africa. On January 7, 2014, Jonathan will keep his promise made on CNN’s Starting Point and tandem skydive in San Diego. Jonathan was a multiple sport letterman and finished in the top 3% at Des Moines Technical High School, class of 1981, and was a member of the Dean’s List at Regis College in Denver, Colorado, class of ’85.